Weeds are native or non-native plants that are unwanted in a particular area at a particular time. Change the area and the time and the plant might be desirable or even cultivated. When weeds become so wide-spread that they threaten crops, livestock, or native species, they may become more than just a "weed". They may then find themselves on a state list of plants to be attacked in a methodical manner with state support. They might then be termed "noxious weed", "invasive species", "exotic species", "alien species", or some similar term as set forth in law by each governing body. These noxious weeds find their way into new areas via boats, planes, soles of shoes, imported animals and agricultural products, etc. With increasing frequency, these most dangerous of weeds are causing the extermination of native flora and fauna from larger and larger areas; they are also causing huge economic loses to range and crop lands; and they are also causing significant environmental damage because herbicides are often used to combat them. Biodiversity and ecosystem stability are threatened by noxious weeds. A common characteristic of all noxious weeds is their aggressive, competitive behavior. Typically, they steal precious moisture, nutrients, and sunlight from the surrounding plants. Noxious weeds also alter soil properties and the composition of plant communities and change the structure of animal communities. Many animal species that co-evolved with native plant communities... cannot readily adapt to rapid changes in these plant communities caused by noxious weeds. Noxious weeds [can change ecological relationships].... Cheatgrass [for example] can change the frequency of fire in Sagebrush communities from approximately 50-75 years to 3-5 years. This suppresses the establishment of new Sagebrush plants and other native [plant and animal] species but provides ideal growing conditions for Cheatgrass, an annual grass. 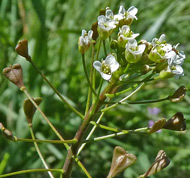 Some noxious weed species impact water availability and water quality. Tamarisk (Salt Cedar) now dominates plant communities in many Southwestern riparian areas. This deep-rooted tree depletes water tables and displaces native Cottonwoods and Willows which [normally would provide habitat for other native species of plants and animals]. Undesirable Plant Species means plant species that are classified as undesirable, noxious, exotic, injurious, or poisonous, pursuant to State or Federal law. current as of November, 2004. Definition of a Noxious Weed: The law defines noxious weeds as plant species that are not indigenous (non-native) to the state of Colorado and meet at least one of several criteria regarding their negative impacts upon crops, native plant communities, livestock, and the management of natural or agricultural systems. This definition applies to species listed by both the state and local governing bodies. Native plant species, those species that are indigenous to the state of Colorado, may not be designated as noxious weeds by either state or local governments. Furthermore, the law does not permit distinctions to be made regarding the historical range or habitats of native species. 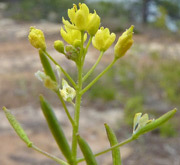 Therefore, even a native species that expands its range within Colorado due to human influences and otherwise meets the descriptive criteria as a noxious weed may not be listed as such. The following weed species were identified by individual Colorado counties as problem weeds or were recommended for management through public testimony. Click for the most recent updated list. Similar lists are available for Utah, Arizona, and New Mexico. The USDA Plants Database also has noxious weed lists for all states. List A species in Colorado are designated by the Commissioner for eradication. List C noxious weed species: Resources will be provided to jurisdictions that choose to require management of these species. Click on a picture to view larger photos and descriptions. Four Corners states have officially classified the plant as a noxious weed. Classifications do change, so you may find that some plants shown below are no longer on the noxious weed list and some plants shown on this web site but not shown below may now legally be considered noxious weeds. 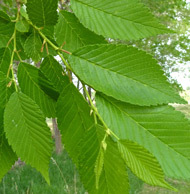 The plants shown below are non-native species. 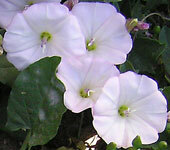 California Department of Agriculture Noxious Weed Photo Gallery. The National Invasive Species Council web site contains a massive amount of information about U.S. and state invasive species including detailed information about all of the Four Corners states. The National Invasive Species Information Network.